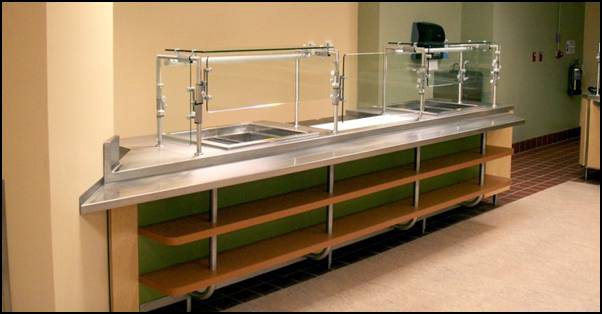 Manatee Memorial Hospital is multiple station food court style servery that incorporates design elements unique to each concept helping to delineate between the various stations. Overhead signage suspended from a custom frame with lights was used to highlight each station. Pendant lights were suspended from the bulkheads to provide accent lighting. All wall treatments, flooring and counter finishes were specified and coordinated by FFC, Inc. to continue the flow of the design through the space. 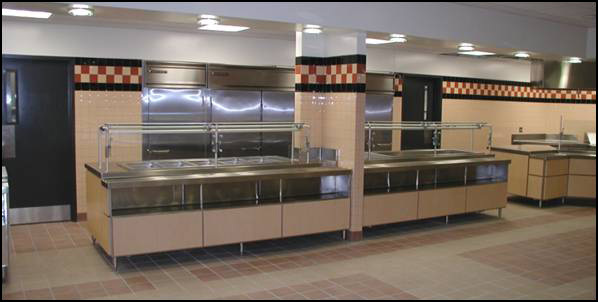 Moses Cone Hospital's Main Cafeteria is multiple station food court style servery that incorporates design elements to make the space feel like one flowing design blending each station together. Overhead signage was used to direct patrons to their desired theme. Pendant lights were mounted on the bulkheads to provide accent lighting. Bulkhead layout and design was one of the elements designed and coordinated by FFC, Inc. to continue the flow of the design through the space. 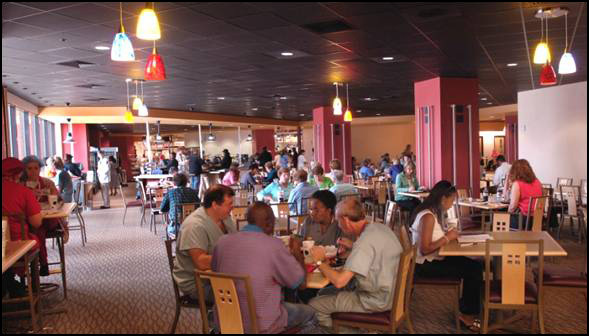 University of Alabama Birmingham's food court at their North Pavilion was a Design/Build project for Food Facilities Concepts. 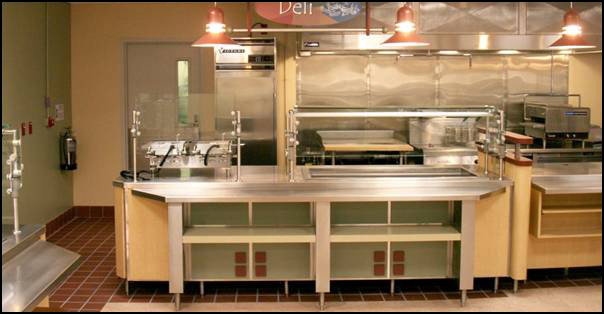 The food court and dining room was designed, coordinated and procured by our company. 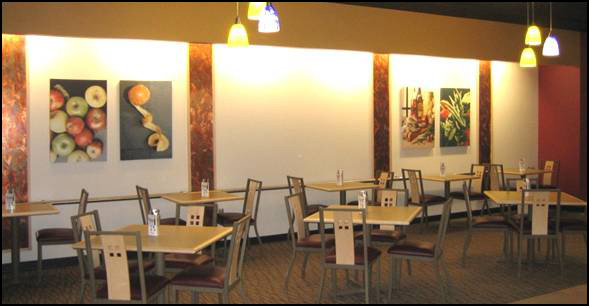 This project entailed new counters and coordination of "branded concepts" as well as all flooring, ceiling, lighting, wall treatments, art work, and furniture. 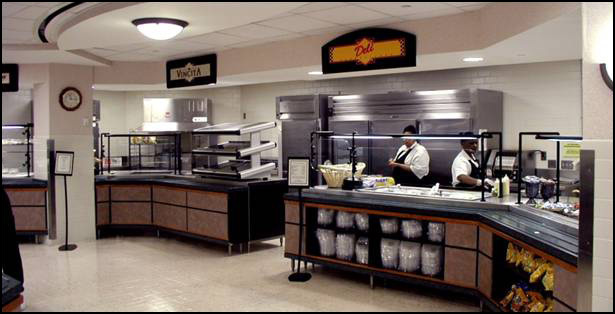 The facility included new storage, preparation, and cooking areas to support the food court and onsite catering. 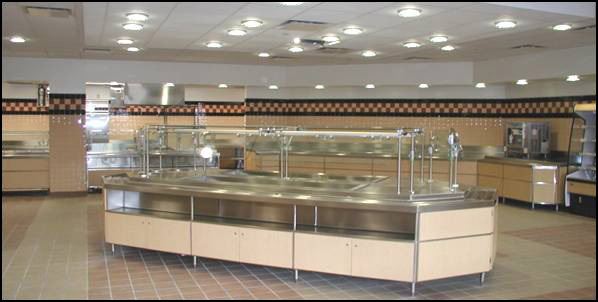 Progressive Insurance contracted Food Facilities Concepts to renovate many of their food courts across the country. 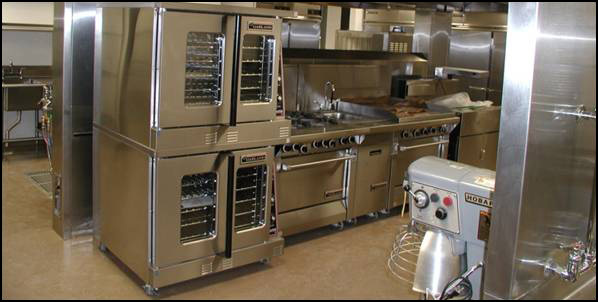 The Colorado Springs project consisted of an updated kitchen with all new cooking equipment to support the food court. 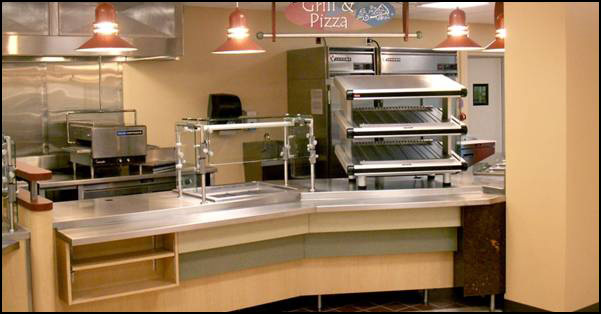 The food court also under-went a renovation with brand new custom fabricated counters and equipment to serve the needs of their employees.